OptinMonster offers seamless integration with Marketo. 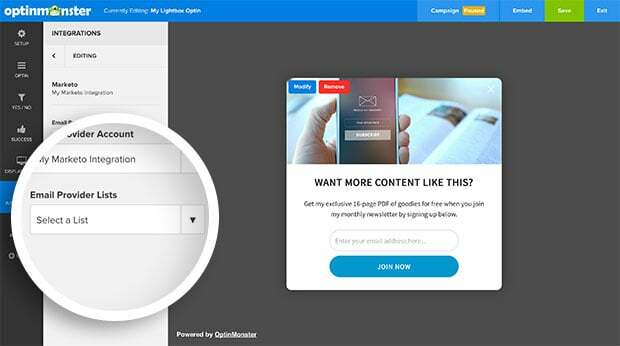 Connecting OptinMonster to your Marketo email list is very easy. Follow our step by step guide on how to connect OptinMonster with your Marketo account. In the Campaign Builder, select the Integrations tab to view the Integrations panel. 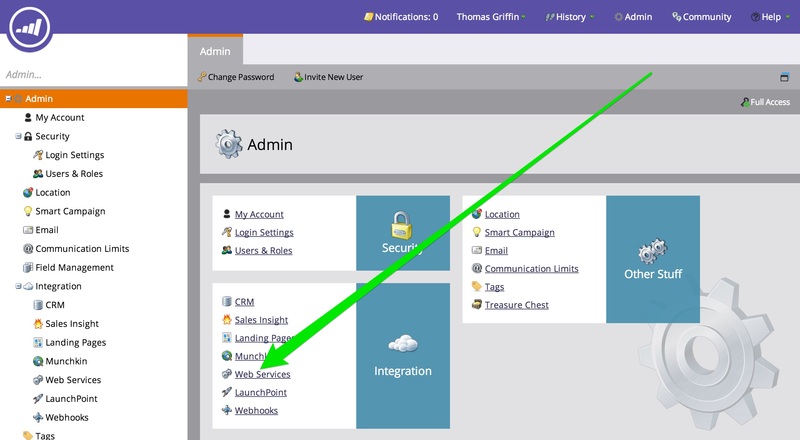 If this is your first time connecting an integration to your campaign you’ll see a “New Integration” item in the Integrations panel of the builder. Select that to begin configuring your integration. Next, select Marketo from the Email Provider dropdown. You will need to create an API user, role and custom service. First, log into your Marketo account, then follow these instructions to create a custom service. You will need to save your Client ID and Client Secret to authenticate OptinMonster with Marketo. 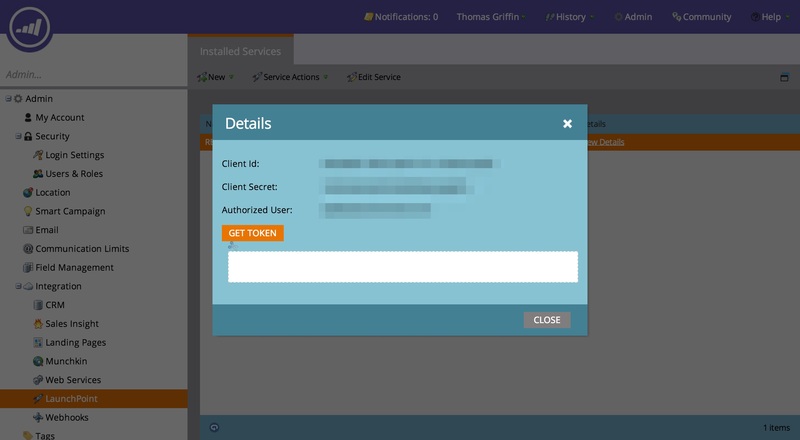 If you’ve already created a custom service and need to locate your Client ID and Client Secret again you can do so by first navigating to the Admin page. Next, you’ll select LaunchPoint from the Integration section of the Admin page. Your custom services will be listed, select View Details on the custom service you’ve created for OptinMonster. You’ll be shown a lightbox with the Client ID and Client Secret. You’ll need to enter these in their respective fields in the Campaign Builder. 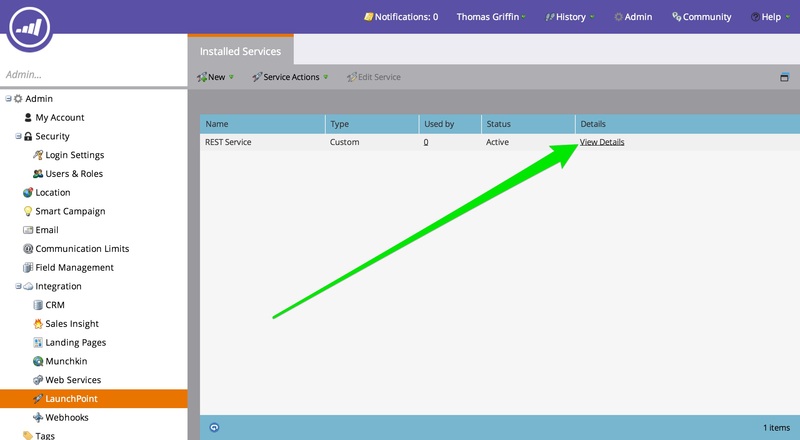 You will also need to retrieve the subdomain associated with your Marketo custom service. From your dashboard, navigate to the Admin page and select Web Services from the left menu. At the bottom of the page you will find a section for the REST API. Copy the subdomain of the Endpoint as seen in the screenshot below. 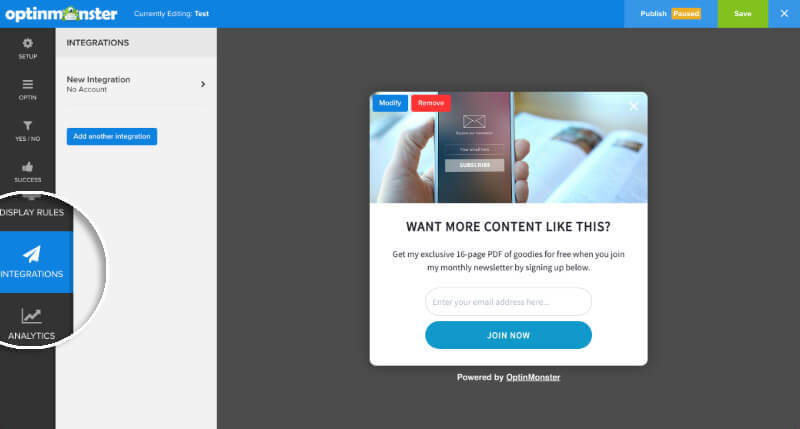 Note: you only need to copy the first portion of the subdomain, do not include the beginning https:// or ending .mktorest.com/rest. 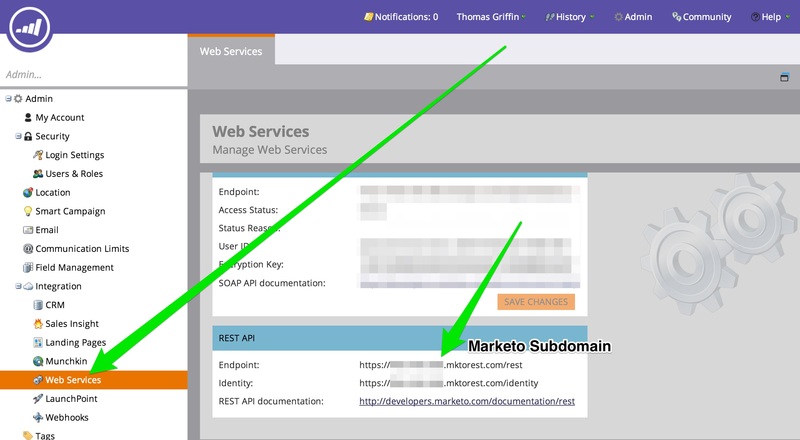 Adding the full subdomain url will prevent OptinMonster from connecting to your Marketo account. Return to the campaign builder, paste the Client ID, Client Secret and Subdomain into their respective fields. Don’t forget to add a unique label for easy identification! Then, select the Connect with Marketo button. OptinMonster will now connect to your Marketo account and fetch your email lists. Select an email list you want users to subscribe to. That’s all, you have successfully connected OptinMonster to your Marketo account! Q: What if my Marketo plan doesn’t include API Integrations? A: Some Marketo plans don’t allow you to use the Marketo API to add subscribers to your account. However, you can still use our Custom HTML Optin Form integration option to add subscribers to your Marketo account without using their API. Q: Can OptinMonster send along Lead Scoring Data to Marketo’s Munchkin platform? A: Yes, OptinMonster works with Marketo’s Munchkin platform and you can pass along Lead Scoring Data to it.